Eclectic Eel: Push Cart Nominees: Read the Best of the Eels for yourself! Push Cart Nominees: Read the Best of the Eels for yourself! 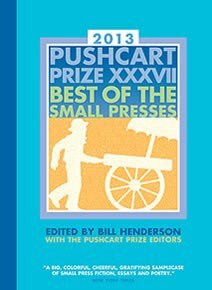 Work from the Push Cart Nominees! With the Eel now one year old, she is thrilled to be old enough to nominate writers from her issues for the Push Cart Prize. She was even more excited when four of her nominees gave her permission to put their work on her site! She is therefore pleased to present Heather Cairns, Linda M. Crate, Kanchan Chatterjee and Mark J. Mitchell! To read their work for yourself, check out the 'Work From the Issues' section! The Best of the Eels: Push Cart Nominations! Eel's November Guest Blogger: Ian Parks!